'The Laws of Creation' provides insight into 'The Secrets' of what the 'Laws of Attraction' are really about; Harnessing the power of Creation within us to make life what we truly desire. Life has the meaning that we give it through capturing then using the power of creation to create a life really worth living. Don't be a creation of circumstance, take full control of your destiny, for we are masters of our own universe; we are the sole creator of ourself. You should never settle for anything less than what you already set out to achieve. Life is a game, that you should play by your own rules; life is indeed what we make it. Success is the true joy and wonder of life can only be yours if you follow your own intuition, aiming to achieve your bliss. You are the architect of your own life; use your will power to make those choices that will control your destiny, create your life path, your fortune. Start living by taking the control of your life now. Open your mind to the infinite possibilities that exist for you. Born through your dreams, crystallised into form by your desires, given impetus by your expectations, then made real through your beliefs. 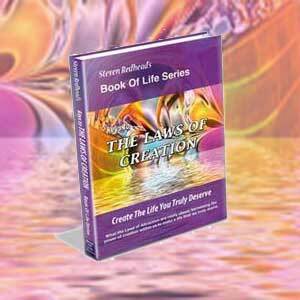 Thank you so much for sharing the information about the book The Laws of Creation. I'm sure it is wonderful and have it on my list to pick up and read soon. I would like to share that "creation" supersedes all laws including the, so called, Law of Attraction. LOA implies that there is an "out there" (some call it source or universe, etc.) from which all things come to us. I'd like to be clear that when you recognize that YOU are the creative center of the universe; YOU are, in fact, the "source" from which you believe all things come. There is no longer an "out there" from which, you "attract" your desires, wants and aspirations. You are the source of all things and it is from YOU, the source of all things, that everything emanates. Perhaps another way to look at it is that "creation" is an "expansion" of awareness while Law of Attraction is a "contraction" of that creative awareness. In other words we are "giving" to the expansiveness of our creation or we are pulling superficial, human desires, to us that ultimately narrow the breadth of our creative awareness. Above all we are gods. Each one of us and we either "create" as gods or we live as humans not knowing our divine nature. 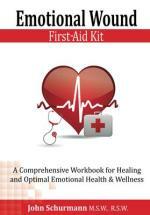 Again, thank you Steven for sharing your comments and the recommendation for the book. I look forward to reading it and to many more discussions about our nature as gods. Join in and write your own page! It's easy to do. How? Simply click here to return to Law of Attraction.